Ireland is definitely fond of its tea and coffee. Despite stereotypes, we drink even more tea than the UK, ranking third in the world for the amount of tea consumed per year. It makes sense, then, that the Irish Coffee and Tea Festival was a success this year, with over 60 different exhibitors displaying some of the finest tea, coffee, and artisan delights Ireland has to offer, including; Bewley’s, Robert Roberts, and smaller Irish companies such as Niks Tea. The festival, which ran from September 11th to 13th, was hosted in the Industries Hall of the RDS. The festival promotes the place of coffee and tea in Ireland, while giving the opportunity to smaller businesses to meet and network, offering a platform for companies to show their work. On entering the festival, there was a host of stands greeting visitors, stretching back to the opposite end of the long room. With too many samples to count, there was a hum of the excitement of experience among visitors. Insomnia coffee featured a stand with a team of baristas teaching basic latte art to visitors free of charge. The experience was a hit, with a constant queue to get a quick demonstration from the ever smiling and patient team. 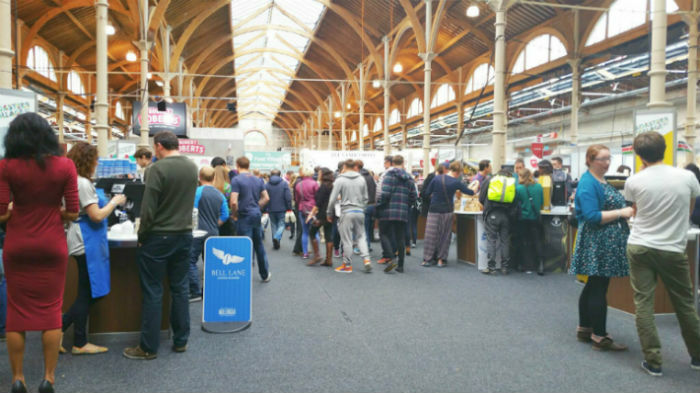 The Food Village proved a favourite, featuring several gluten free options of treats and snacks, while Chez Emily had Irish handmade Belgian chocolate to offer. Taste of Kenya coffee also featured a stand at the festival, offering a host of rich Kenyan coffee, a smooth coffee known for its ease of drinking. Overall the rich atmosphere of multicultural flavours and skills made for a well-rounded experience, with the festival expected to return next year.